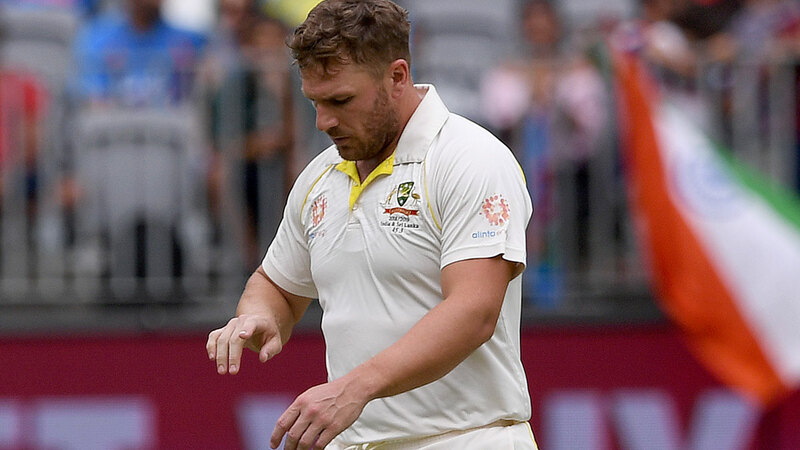 Australia opener Aaron Finch is in doubt for the rest of the India series after leaving the field with injury just before tea on day three. Finch, on 25, was smacked on the gloves by a short ball from India paceman Mohammed Shami in the 13th over with Australia 0-33. The Victorian had struck five fours in 30 balls and looked to be batting fluently. 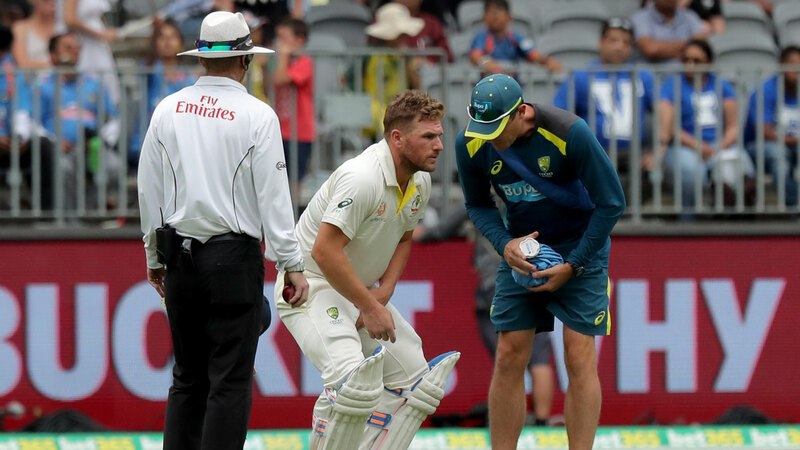 The batsman was in a lot of pain and could barely stay still after the blow, leaving the field alongside the medical staff as the umpires called for the tea break. Reports say its an injury to the right index finger. Usman Khawaja was called on to replace Finch and partner Harris out in the middle. Fox Sports cricket commentator Kerry O'Keefe said it could be a serious injury. "It looks ugly, I don't know if he'll be able to hold a bat," said O'Keefe. "He'll go for x-rays without question and Khawaja will take his place. The pitch won't suit him he likes a bit of slowness on the deck this is spiraling off a good length. "Australia might have the lead and ten wickets in the shed but they're not as well placed as the scoreboard might suggest." In the first innings, Finch posted his maiden Test half-century on home soil after twin failures at Adelaide Oval.